It is especially important on business trips to leave your business associates with a fit and dynamic impression. Make sure you get some sports in, plenty of sleep, lots of water, and a healthy diet, then you'll manage it too. New York, Rio, Tokyo – in an increasingly networked business world, it is vital for companies to maintain good relationships with key accounts, business associates and suppliers. This is why, statistically speaking, business trips are a completely normal part of working life for every fourth employee (Association of German Travel Management e.V.). Quick meals are part of the everyday routine for business travellers. After all, the body needs plenty of energy. To avoid overweight, high blood pressure and raised cholesterol levels, you can also do something for your health while you're away on a business trip. Business trips are often more stressful than a normal day at the office. Then it's tempting to grab a pizza or fast food. To stay fit all day long, you should avoid heavy, greasy meals. Instead, eat several smaller meals spread out over the day. Take a wholemeal roll instead of a white roll, have an apple instead of a chocolate bar and keep an eye on the quality of the food and the hygiene conditions in the restaurant. It is particularly important to supply the body with adequate fluids to stay physically and mentally fit. This helps you keep your circulation on the move and overcome any momentary fatigue. Drink about two to three litres of water every day. When you travel by plane, the cabin attendants do hand out drinks – but not enough. So we recommend you buy another bottle of water at the gate. A sip of Champagne or beer is tempting – but you should avoid alcohol. It dries out the body even more. Unusual working hours, new surroundings, hotel beds – some business travellers are plagued by a lack of sleep. But it's especially important on business trips to be well rested, in order to achieve good results. It's a good idea to go well prepared: for instance, pack some earplugs, an eye mask and a pillow for your neck. You should also make sure that the hotel room is no warmer than 20 degrees. Avoid stodgy food and alcohol in the evening. On the other hand, a short evening stroll or a cup of valerian tea can make it easier to get to sleep. Laos instead of London – If your business associate is located on a different continent, you have another challenge to face: jet lag. This shows us that the body cannot immediately get used to the new day and night rhythm. Typical symptoms: fatigue, loss of concentration, headache, dizziness and nausea. But there are some tricks that work. Sleep as much as possible while flying east. Use earplugs and wear your eye mask. By contrast, when flying west, try to sleep as little as possible and catch up on your sleep the first night you arrive. Have you also had the experience that your legs hurt or are even swollen after sitting for long periods in trains, planes or conference rooms? 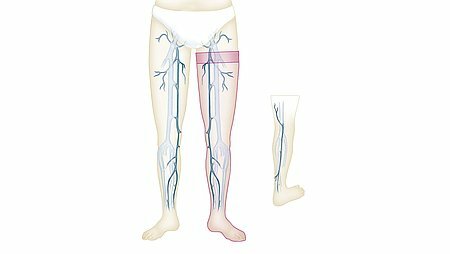 This is usually due to blood pooling in the veins: the reason: the muscle pump – which pumps low oxygen blood from the feet to the heart – cannot really work properly when you are sitting down. This increases the risk of thrombosis. You can prevent this by wearing compression or travel socks from medi. With their controlled pressure gradient decreasing up to the knee, they activate the muscle pump and thus the blood circulation. Another important preventive measure is movement: do vein exercises for your feet. You can rock your feet to and fro and turn your feet in circles on a plane too! Some airline companies now show short video clips with instructions on how to do these exercises. Once you reach your destination, you should exercise your whole body to increase your well-being. Trainers and trunks fit in every holdall. Go for a run or a swim whenever possible. Or take a brisk walk to explore the surroundings. Perhaps your gym even has a branch at your destination, where you can exercise for free? Look round for a climbing gym, a fitness course or a dance studio – there are no bounds to your creativity. If you really can't find any time for training, you can also move around more during the day by taking every opportunity to be active: take the stairs instead of the lift, walk instead of driving.